Abstract: Will a new mobile phone customer pay her monthly bill? Is a check deposited into a bank customer’s account fraudulent? Will an insurance claim become expensive? For nearly two decades, Dr. Jiang (Jay) Zhou has been helping mobile phone service providers, banks, insurance companies and other businesses solve problems like these. 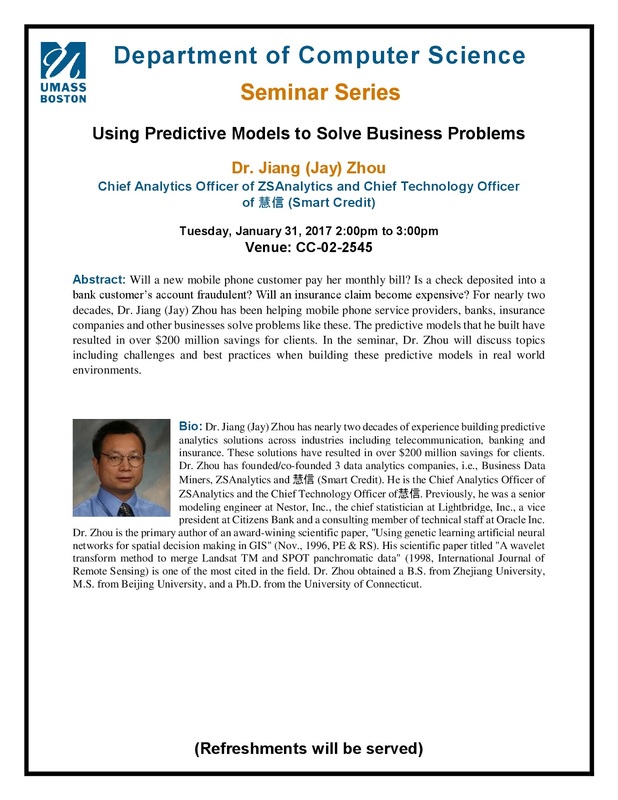 The predictive models that he built have resulted in over $200 million savings for clients. 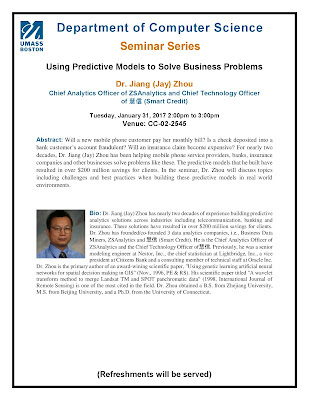 In the seminar, Dr. Zhou will discuss topics including challenges and best practices when building these predictive models in real world environments.